Trachoma is the leading cause of infectious blindness in 42 of the world's poorest countries. Australia is the only developed country in the world to still have active trachoma in remote Indigenous communities. Trachoma is most often found in small children but scarring and in turned eye lashes are found in older people throughout the country. Trachoma persists in areas with poor personal and community hygiene. In 2010, IEH coordinated the development of the Trachoma Story Kit. This comprehensive kit includes flipcharts, guidelines & student resources that can be used by clinics, schools & community groups to provide clear and consistent messages about trachoma, how it is spread & how everyone can help to eliminate it. 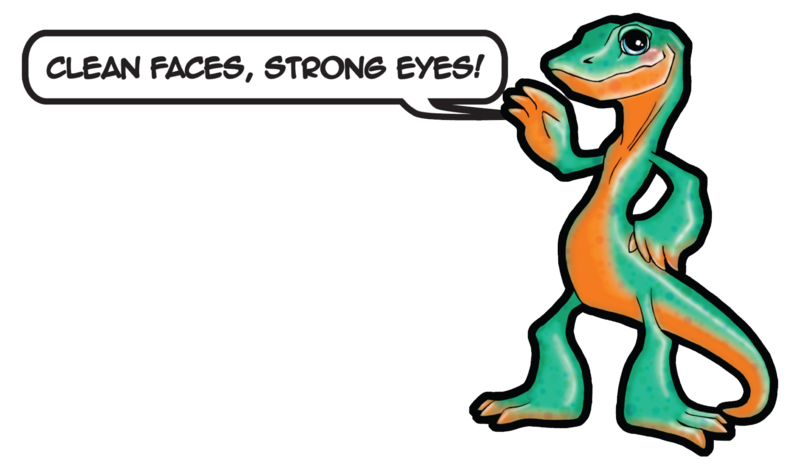 A brief explanation of the Trachoma Story Kit and list of accompanying resources. A range of free downloads including information on how to use the resources, flyers, posters and order forms as well as conference posters talking about a variety of issues in trachoma. IEH has developed several multimedia resources to help promote awareness of Trachoma. You can view these all for free here. Order a Trachoma T-shirt, request permission to create your own resources, and more about how to use them effectively. 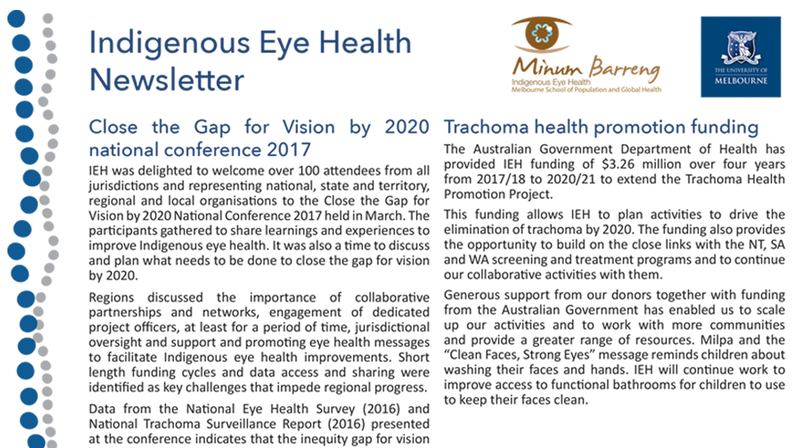 A range of additional publications associated with Indigenous Eye Health and the Roadmap to Close the Gap for Vision. IEH has worked with a number of collaborators to develop a range of training resources.